TREND ALERT: Gold’s Down, But Not Out. Here’s Why. The Dow plummets over 800 points today with the Nasdaq falling 4%. Is now the time to stock up on gold? Read your new Trend Alert! 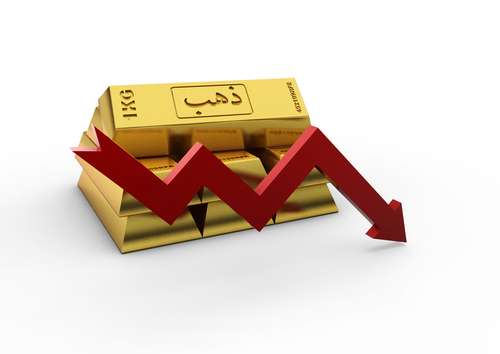 Enjoy a Podcast of...TREND ALERT: Gold’s Down, But Not Out. Here’s Why. Nice to have a president who calls out the Fed. Has to call them out. What a freak show we're seeing! Never mind Dr Ford. I need a good shot of Dr. Strangelove! hopefully this doesn't sound like a dumb question but when Celente talks about GOLD does he mean actual GOLD bullions where he buys and stores himself? I figured I get into some but so for it seems ETFs is the easiest way to go about GOLD investments. Argentina, Greece, Turkey, India.. Emerging market crisis, with rate hikes = GC said so. Glad I moved to Cash. I would suspect a dead cat bounce and then further carnage. Personally on side lines looking for reasonable market plays, Always like the position of "when all else fails, they take you to war" motto.. So, I expect Oil to continue to fall and then take a position. Hope everyone is outa debt. Being at zero is the place to be. Wishing everyone a prosperous and sane time.